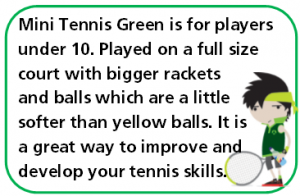 Tennis is one of the healthiest sports a child can play, so why not let your children enjoy a tennis coaching course in a friendly and safe environment at Oxford Sports. 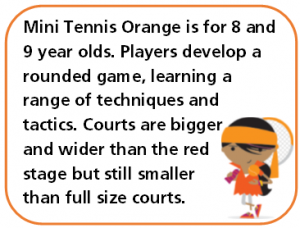 With one of the biggest and best junior tennis clubs in Oxfordshire, your children can enjoy one of the many group tennis lessons expertly led by our professional coaches. From beginners to county champions, children of all abilities are well looked after, with everyone having fun, making friends and improving their tennis. 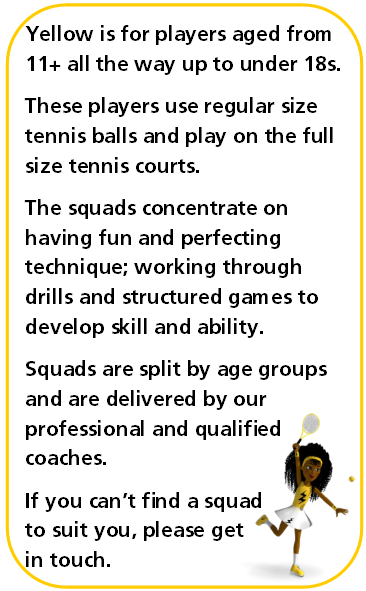 This is our Summer term and the squads run for 12 weeks from Tuesday 23rd April 2019 through to and including Monday 22nd July 2019. We take a break during the half term, which this year will mean no coaching from Monday 27th May through to Sunday 2nd June 2019. 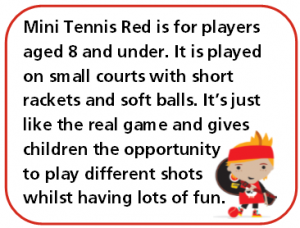 Our club squads are run by ball colour and child’s age. Take a look down the left hand side of the page which gives a brief description of the squad and then select a convenient day and time that suits you and your child and click on Book Here! You will be taken to a new page where you can check the details of the squad you have chosen and you can book your child onto the squad from there. If you have not booked online before, you will have to register you and your child’s details. You will only have to do that once though, so the next time you book a squad it should be a much easier experience. If you have already booked before, just log back in with the details you setup previously. PLEASE NOTE: When you are booking online for the first time, please create an account for the parent / guardian first and then add the child into the account and book the course. If you have booked before, please just login.